Connectivity was our subject for the third ITAP lecture last week. Although not what you would expect at first glance, the lecture did reveal some interesting facts such as the cultural context in which we create, different forms of historical culture developing relationships etc, of which I will describe two and also use examples to highlight their importance. A great effect on connectivity is always put on by the cultural context.Depending on the surrounding, both culturally and environmentally two apparently similar works of art can have a very different meaning. An eloquent example of this is the work of John Constable and Peter Kennard. 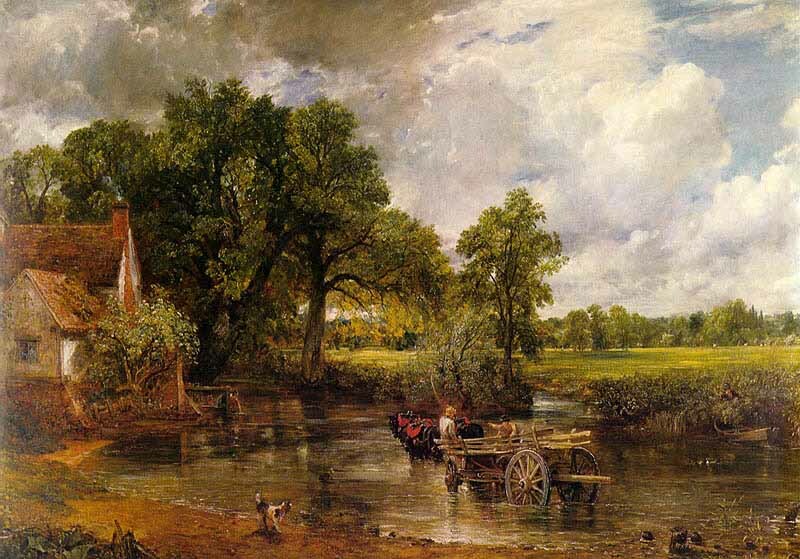 In 1821 John Constable made a painting of the the beautiful countryside that everyone on that time was dreaming of. More than a century later, in `83, Peter Kennard had theintention of warning American nationalists about the threat of, at that time, the Cold War. He used Constable`s painting of the peaceful countryside and added a single but extremely relevant element to it, something representative of the cold war. Thus he greatly altered the image`s message encodingand also there was another type of target audience involved. This helped send a strong message on the impact that the war had on everyday lives. Inspiration is always made from half what we see and half what we think. Thus the notion of originality is born. To be original is to create something in a way that nobody had ever though about to. But how can one bring up a new method of work without using what he has learned? Work can have correlations to other types of work from the past, ideas can be reinterpreted and so on. This has shaped the work of Vincent Peters on a Dior advertise. While the intention is clear, it`s roots go all the way back to 1892. The image uses signs such as the skull masked in an illusion to induce drama to women, it`s target audience. This approach was first made by Charles Allan Gilbert in the year mentioned before on All is Vanity, however certainly not to advertise anything. This similarity between the two images does not account as plagiarism but of Vincent Peters taking a concept, slightly distorting it in order to create something new, that has a strong cultural context but an entire new meaning. Thus, different notions of originality lead to different outcomes but with basically the same origin.